About one in eight women in the U.S. will develop invasive breast cancer during her lifetime. 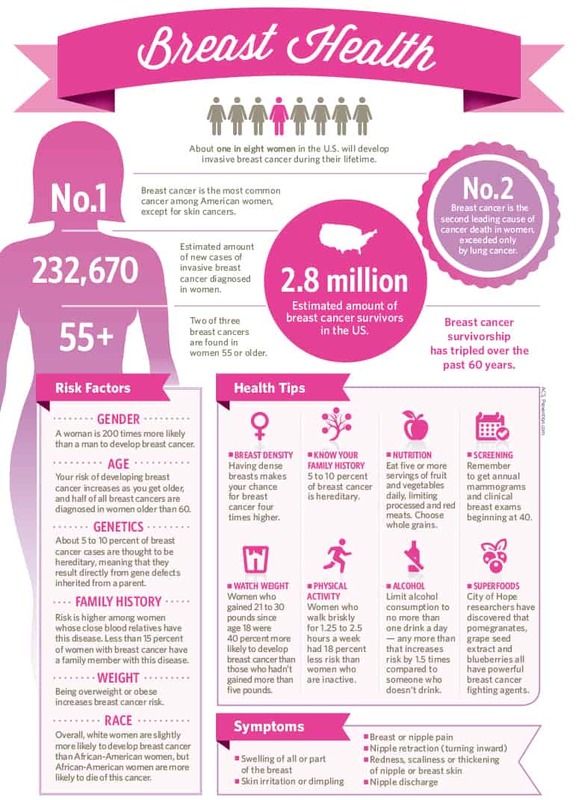 Breast cancer is the most common cancer in American women, behind skin cancer. An estimated 232,670 new cases of invasive breast cancer will be diagnosed in U.S. women this year. Two of three breast cancers are found in women 55 or older. 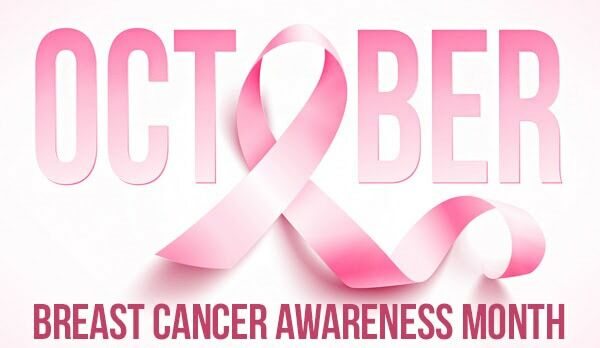 Breast cancer is the second-leading cause of cancer death in women, exceeded only by lung cancer. An estimated 2.8 million breast cancer survivors live in the U.S. Gender: A woman is 200 times more likely than a man to develop breast cancer. Age: Risk of developing breast cancer increases as you get older, and half of all breast cancers are diagnosed in women older than 60. Genetics: About 5 to 10 percent of breast cancer cases are thought to be hereditary, meaning that they result directly from gene defects inherited from a parent. Family history: Risk is higher among women whose close blood relatives have this disease. Less than 15 percent of women with breast cancer have a family member with the disease. Weight: Being overweight or obese increases breast cancer risk. Race: Overall, white women are slightly more likely to develop breast cancer than African-American women, but African-American women are more likely to die of this cancer. Should you get a Mammogram? Thermogram? Or Both? Mammogram is not early detection. A cancerous tumor has been growing eight to ten years before it is big enough and dense enough to be detected by mammography. That is why the treatment at that stage is so drastic – removal of breast, underlying muscle, lymph nodes, chemotherapy, radiation therapy and hormonal therapy. Here is a short video on the pros and cons of mammogram and a look at the evidence behind Mammograms. Unlike a mammogram, which is used to diagnose breast cancer by using X-Rays that find denser tissues, a Breast Thermography Machine uses Infra-Red Imaging to find “hotter” areas of the breast that are more active. A Mammogram is like taking a still photograph that tells you how a breast looks. Breast Thermography is like actively looking through a set of infra red heat goggles that can tell you how the breast is working. These tests give us different information and are both important when it comes to assessing your breast health. 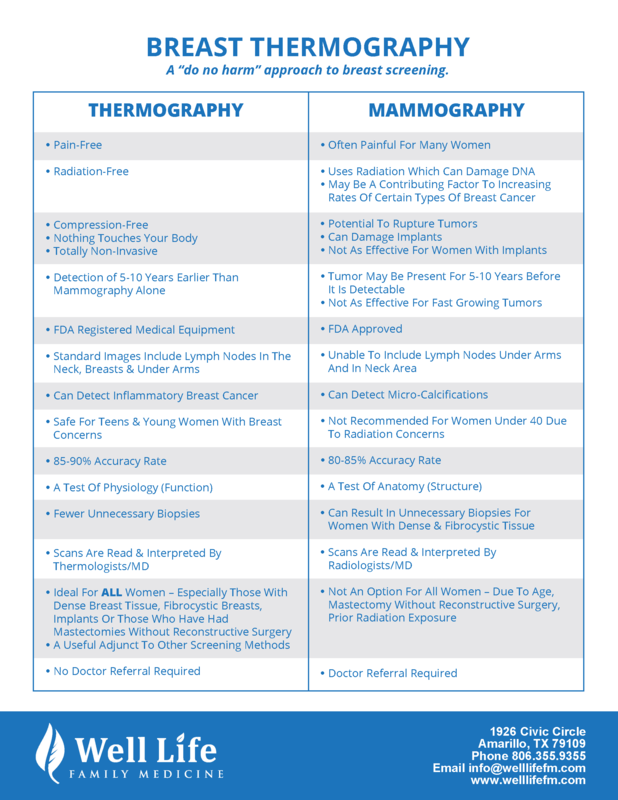 Thermography = Risk | Mammogram = Detection | Biopsy = Diagnosis. No. When it comes to a breast cancer diagnosis, a breast biopsy is the gold-standard for diagnosing breast cancer. Breast Thermography is used together with other tests including mammograms, ultrasounds, MRI’s, blood testing, and genetic testing. In order to add incredible amounts of detail to generate a comprehensive picture of your breast health and your risk of breast cancer. 1 in 8 get breast cancer you don’t have to be one of them. Call today to let us help you minimize your breast cancer risk and optimize your health.